Many of us have gone through the horror of finding that ugly pimple on the face during our growing up years. Every pimple was dreaded and the scar that it would leave behind, even more so! I myself have lost count of the umpteen creams, gels and face washes that I have tried to get rid of pimples. But what most of us do not realize is that, problems like pimples are mostly due to internal imbalances- be it in the hormones or in the digestive system. Too much stress or anxiety can also cause you to break out. One of the super supplements that will help overcome all these issues is fish oil. Fish oil is oil that is extracted out of fish scales. It is rich in omega 3 fatty acids- docosahexaenoic acid (DHA) and eicosapentaenoic acid (EPA). DHA has anti-inflammatory and anti-oxidant properties. EPA on the other hand is known to regulate hormonal balance and production of sebum. This way, some of the main triggers of acne are taken care of by Fish oil. It also helps reduce production of keratin in large quantities, which generate skin cells, thereby preventing the clogging of pores. 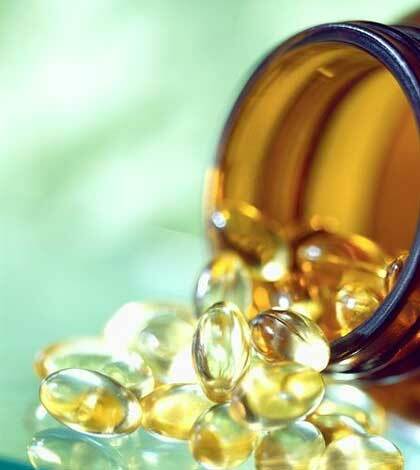 With so many great benefits, it is highly recommended to include fish oil in your diet if you are acne prone. Fish oil is available in the form of liquid, tablets or capsules and is safe for consumption and is among the most popular supplements in the market. You can take two capsules a day. Application of a drop of fish oil topically on acne and leaving it overnight is also found to be beneficial. Another ingredient you can add to your diet is Zinc. Zinc is an important mineral that helps repair skin and hair. Zinc has anti-microbial properties and it can easily destroy the bacteria responsible for acne on the skin. Also, zinc helps in the metabolism of many hormones like testosterone. Low levels of zinc can cause a hormonal imbalance and result in the over production of DHT or dihydrotestosterone. A direct result of this is excessive production of sebum due to the enlargement of the sebaceous glands and also hyperkeratinisation- increase in the formation of skin cells- all leading to build up in the pores resulting in acne. Zinc supplements can help lower the DHT and address the root cause of acne. Zinc is one of the major minerals that help in maintenance of the skin. Hence, it is only obvious that we need to feed our body a good amount of zinc. Seafood, spinach, pumpkin seeds, beans and cocoa have high concentrations of zinc. Including them in your diet will help you attain some control over acne. Another way of including zinc is to take them as supplements. Even though you take multivitamin supplements, you should consider taking zinc supplements if you do not have a balanced diet consisting of zinc. Consult your doctor to get a prescription and see the fulfilment of your daily zinc requirement work wonders on your skin.